There are 125 KV and 150 KV types of x ray tube. high voltage connector for x ray tube can be divided into 75 KV and 90 KV. 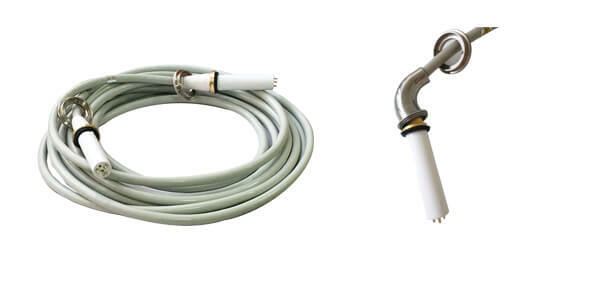 Hv cable for x ray tube need two high-voltage cables to be used together, which can withstand up to 150 KV and 180 KV. Two high voltage cables are standard configuration for an X-ray machine. 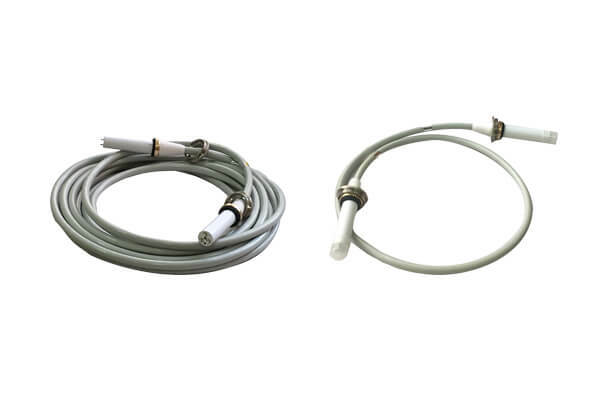 Hv cable for x ray tube are made of insulating silicone grease. They are made of modified silicone oil and ultra pure insulating fillers with functional additives and processed by special processes. The hv cable for x ray tube has excellent performances such as high voltage resistance, waterproof and creepage resistance. X-ray produced in a highly vacuum spherical tube, high-speed electrons interact with nuclear power field to form a radiation beam, which generates a continuous beam of money with short wavelength, high energy and strong penetration. It will pass through the wall, oil layer and filter plate to the human body for treatment or diagnosis.